A three vehicle crash closed a main road into Stamford this morning. The crash took place at 9.50am near Burghley House. 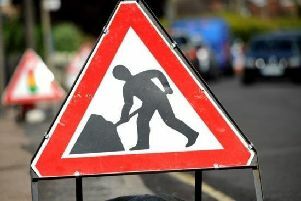 The B1443 Barnack Road was closed in both directions between Station Road and A43 High Street Saint Martin’s. It is affected traffic between Stamford and Uffington. The crash, initially understood to involve four vehicles, involved two cars, a Renault Scenic and a Volkswagen EOS Sport, and a Mercedes Benz Vito. An ambulance crew from the East of England Ambulance Service and East Midlands Ambulance Service attended and treated one female patient who was taken to Peterborough City Hospital for further care.